Sorry I have been away so long. Due to an illness I was out of commision for a few days and did not even open my laptop until yesterday. I won’t elborate but if you want to read more about it go here. I have been asked to spread the word about an award to be given to one special military child. Operation Homefront, an organization that provides financial assitance to our wounded warriors, will give out the Military Child Award. Nominations close February 25 for the 2010 Military Child Award. The award recognize the service and sacrifices of the nation’s youngest heroes. Anyone can nominate a deserving child for the award, but the nominee must be enrolled in the Defense Eligibility Enrollment Reporting System (DEERS) and be between the ages of 8 and 18. The winner will receive $5,000 and will be flown with a parent or guardian to Washington, D.C., for the award ceremony. Go directly to the eballot or to Operation Homefront to nominate children of both active duty and Guard/Reserve families. In addition to the financial award and travel expenses, meals and accommodations for two will also be provided. I am sure just about everyone knows a child with a parent or parents that are serving our country. If you do, and that child is eligible, please nominate that child. I am also going to ask a special favor of my readers. I would greatly appreciate if one of my readers would Stumbleupon this post. You can use the ShareThis button in the sidebar. That would help get the word out so that many children have the opportunity to win this award. Thanks for your help and if you stumble this post please leave me a comment so that I may thank you personally. 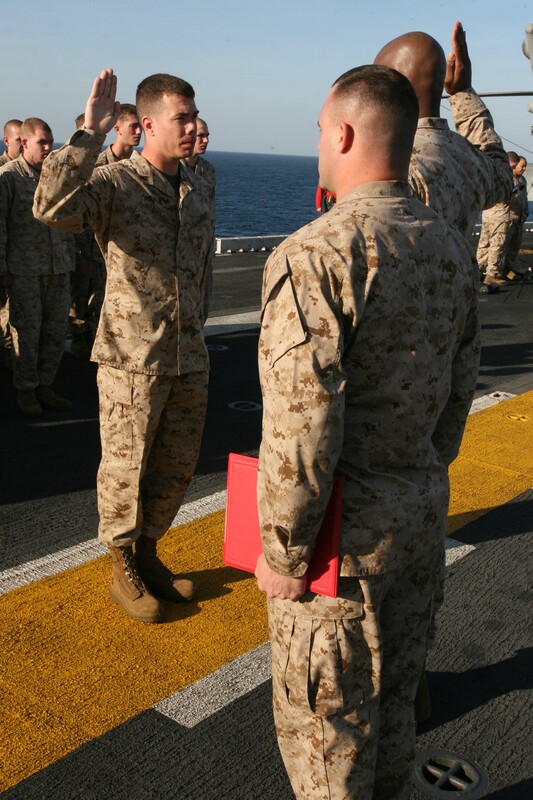 Today’s Military Monday is taking on a more personal note as it should because my son, Lcpl Honda reenlisted for another four years into the US Marine Corps!. He stood on the flight deck of the ship on which he is current deployed and to the oath and once again pledge to honor and defend his country. This is important because not only are they willing to make the ultimate sacrifice for us and their country, they also make many other sacrifices on a daily basis. From having to share living space with other people and be stationed away from family members for most of their service time. Sometimes they are not also able to come home for holidays or special events. Cinderella will get married in two weeks and LCpl Honda will still be floating around the ocean somewhere. His cover and gloves will be gracing a pew in the church to honor his place in our family, but that is not the same. Military families make these sacrifices too! Millions of mothers have lived through deployment. Even though LCpl Honda is not in a combat situation, it is still hard none the less. Also wives and children have to miss having their husbands and fathers, not to mention they have to live like single mothers for months on end. So, yes these men and women should be commended for reenlisting and committing more time to the service of our country. Thank You LCpl Honda. Your family is proud of you. You country is proud of you. I know I have posted about military working dogs before but I saw this video and decided these canine heroes needed to be featured again. Along with our brave men and women serving our country and protecting all of us, these dogs deserve our respect and thanks too. They find roadside bombs and help to save the lives of our military. Once their service is done they are available for adoption and prove to make great pets. If you are interested in adopting one of these canine heroes go here. No More Deployment. Mom Says No. So after trying to figure out how much it would cost to register LCpl Honda’s car we finally went to take it to the DMV a couple of weeks ago. I was happy thinking, alright this will be done, and we will not have to worry about it anymore. I get in the car and go to start the car and…nothing. The battery is dead. Ok. So, we will jump it, except it is in the garage parked next to a boat, so we cannot get close to it. Corvette says it is ok because he has six-foot jumper cables and they should reach. We tried with his truck but the cables would just not reach. So, we tried with my VW. After inching my car right up behind Local Honda’s car and pull hard on the cables, we finally have success and get the car started. Peace and happiness again. We head off to the DMV and get inside feeling lucky because there is hardly anyone there. 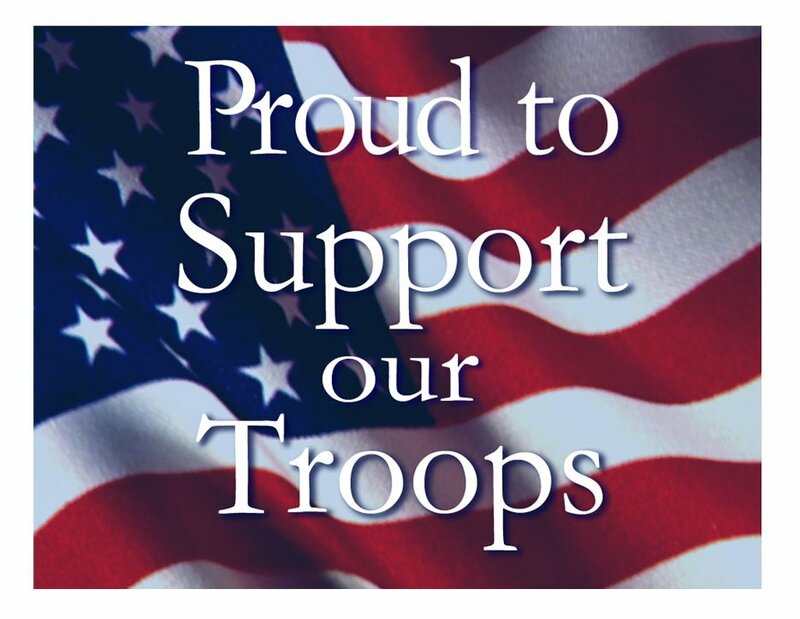 I walk up to the desk and explain for the umpteenth time since this deployment started that my son is serving in the military and currently deployed, I have Power of Attorney and we would like to register his car. She asked for the car title. Now you see, the car is leased. The leasing company has the title. The woman tells me I need a Power of Attorney from the leasing company. All I can think is the nightmare I already went through with the leasing company concerning his car payment when LCpl Honda first left. I envision the company refusing to speak to me again and me having to fax my POA AGAIN and wait AGAIN for several days while the POA gets to the correct person and they agree talk to me. Not only that, I have no idea if they will even agree to send me their POA. Well, we go home feeling defeated again. I pick up the phone. I make the call. I speak to a very nice young man. Insert drumroll here. He agrees to send me the POA!!!! Fast forward to today. The car is registered and I am happy once again. I am so done with this deployment though. But I have learned. Oh yes, I learned. I received a direct message on Twitter today from Angela Alegna. She is a singer and a patriot. She is involved with America Helping Heroes. This is charity that helps returning veterans deal with the aftermath of war. They believe that the troops that have sacrificed for us should not be forgotten, instead should be helped to have happy, productive lives. After Vietnam the vets were left to deal with the frustrations of fighting in a war by themselves. On top of that, they were not even thanked for the sacrifice they made. Thank goodness that is not the case with our returning military today. America Helping Heroes has chapters all over the country in each state. The help returning military with healthcare, legal matters, raise funds for military in need and even help with employment for vets. Please visit America Helping Heroes and see if you can help. Here is another great thing we can do for our troops. Fox News Radio has a group holiday card that can be signed by anyone. You have to hurry because in order for it to reach the troops by Christmas it will have to be sent by Monday, Dec 7. 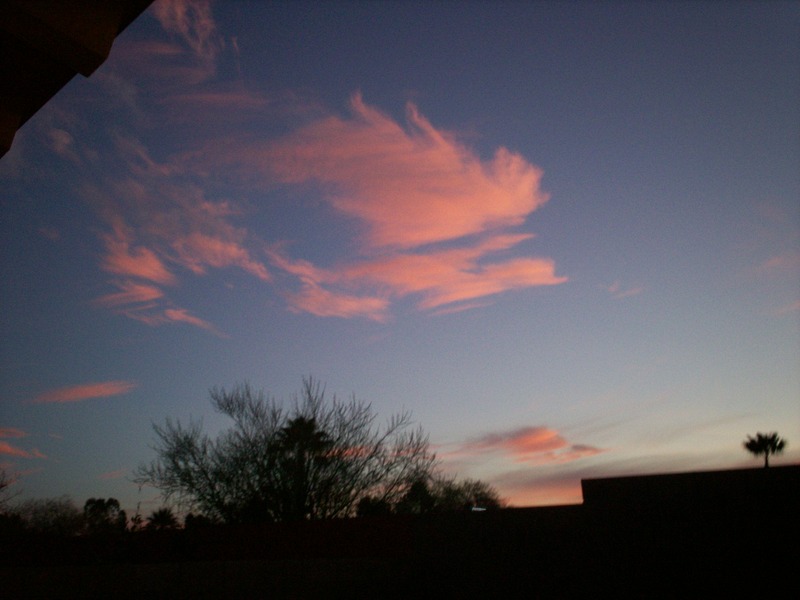 You can even add a picture. Sign the Group Holiday Card here.